nopCommerce is a fully customizable shopping cart. It's stable and highly usable. 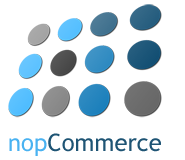 nopCommerce is an open source e-commerce solution that is ASP.NET 4.0 based with a MS SQL 2005 (or higher) backend database. Our easy-to-use shopping cart solution is uniquely suited for merchants that have outgrown existing systems, and may be hosted with your current web host or our hosting partners. It has everything you need to get started in selling physical and digital goods over the internet. I can design a custom template for you, or apply your template to your nopCommerce site. I can configure your nopCommerce system, or develop custom nopCommerce modules. Have nopCommerce questions, or need help on an ongoing basis? I'm here to help. I can integrate your nopCommerce storefront with your CRM, ERP system, or social networks like Twitter and Facebook.